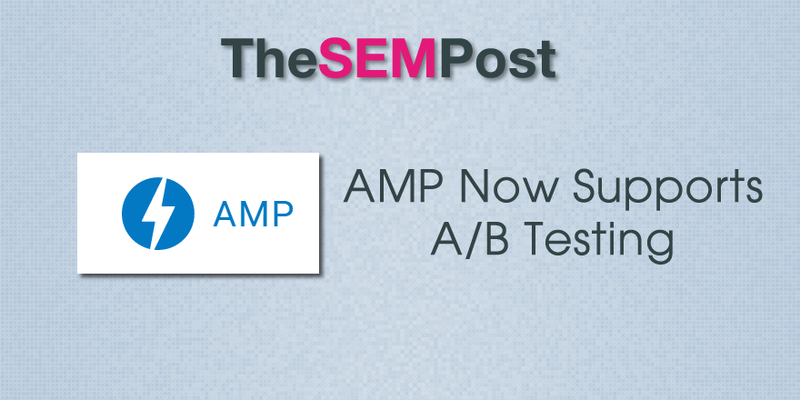 If you have been wanting to do some A/B testing on your AMPlified page performances, AMP is now supporting a new <amp-experiment> which gives publishers flexibility to test variations of pages. This is especially good news for those publishers wanting to monetize better as well as for advertisers that are currently testing out using AMP for landing pages. Whether you’re running an online news, travel, or e-commerce site, you’ve likely invested time in reviewing your site’s design and user journeys to make your experiences more useful to your users. Often this means running A/B-style experiments to learn which enhancements work best. To enable this in AMP, we’ve launched <amp-experiment>, a new AMP component that allows you to conduct user experience experiments on an AMP page. The AMP Project has released full documentation here for the new feature. They have also added a demo. They support multiple variants per test, and you can also specify what percentage each variant receives during testing. AMP announced AMP landing pages earlier this month, intended for advertisers looking for a clean and fast way to serve potential customers. The support of A/B testing definitely makes this a more attractive option, since advertisers tend to A/B test much more aggressively, as they are paying for every visitor that clicks through to their site. You can read the full announcement here, including the new features, such as variant tracking, added to support the new <amp-experiment> feature.